Closed-circuit television camera in the present era of uncertainty is necessary for surveillance. Customizable Alarm Security System For All Budget & Industry Needs. Access controls for which of your employees and visitors have access to what areas of your business. Router app easy network management in hand. Automation gate systems and automatic entrances specialists: automations for doors. Designed to be accessible. The new barrier gate: shaped for easiness, safe for the user, simply flexible. 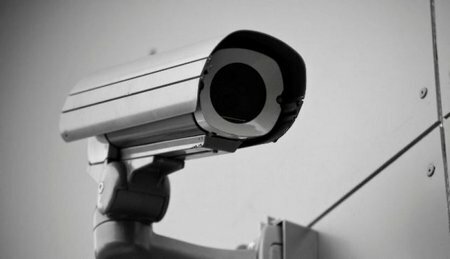 We are specialize in major brands of CCTV security systems. The service I received from Secureworld Engineering was very quick, efficient and informative. Great quality CCTV at great prices, backed up by great customer service by Reann too. Secureworld Engineering was absolutely fantastic – we would recommend him anytime. A job well done. It allows users to systematically manage videos and locate each individual vehicle in a given period of time, significantly accelerating post-event investigation. Each camera boasts the full SMART feature set. This includes the original Smart IP and Smart PTZ ranges and new cameras include Hikvision’s DarkFighter and LightFighter series, the 6MP Ultra HD series, the 4K IP series, 8MP and 12MP real-time-video Smart IP cameras and the newly-launched 3MP WDR series. It detects people, vehicles or other objects entering or exiting from a pre-defined virtual region, triggering an alarm which may also generate further actions. The ‘Object’ tracking features build upon this to allow users to define an area of interest and count objects entering or leaving, including people and vehicles. Furthermore, it can detect and raise an alarm if an object is left in or removed from a pre-defined region.